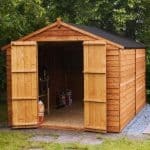 This is a low cost, high quality shed that includes an apex roof. 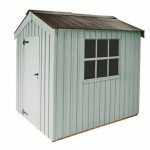 It is a windowless security shed and it has some excellent features such as overlap cladding that has been pre-treated. The building also benefits from having a number of customisation options. This is a compact building that comes in the reverse apex style. It measures up at 208 cm in width and 172 cm in depth. Internally that means 205.2 cm in width and 152.1 cm in depth. The roof is an apex roof and this brings some protection from rain in the way of run off speed. 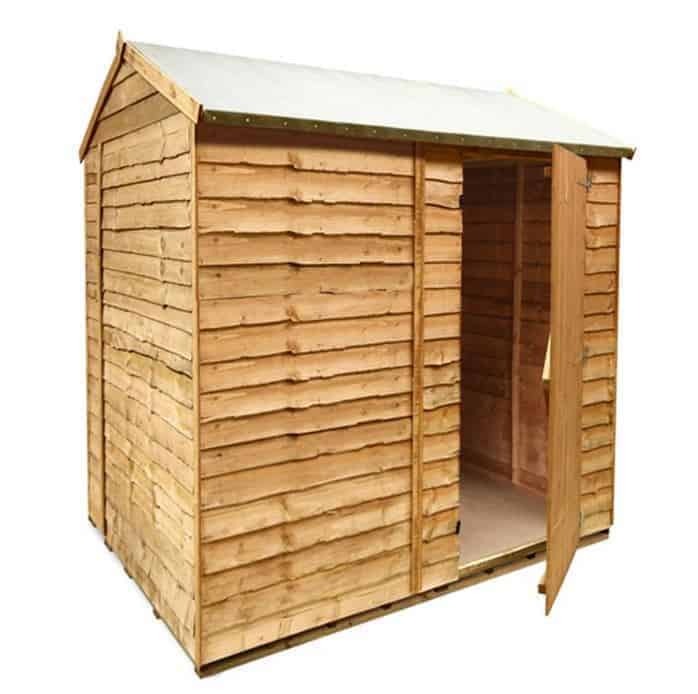 The roof has been made in solid sheet materials, which are not the best set up conditions by any means. But the building does have sand felt covering on the roof and this does provide high quality protection, which is backed up by the apex style. 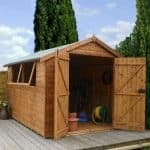 It is a windowless shed, and this brings in some levels of security through the fact that intruders would not be able to see inside the building. This presents as real value at this price. The price is very much helped by the cladding that the manufacturer has given here. 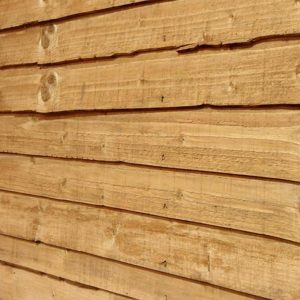 The overlap cladding looks great in the rustic style, but it is the most low price cladding available. The timber planks are literally overlapped against each other, providing some protection against the elements. 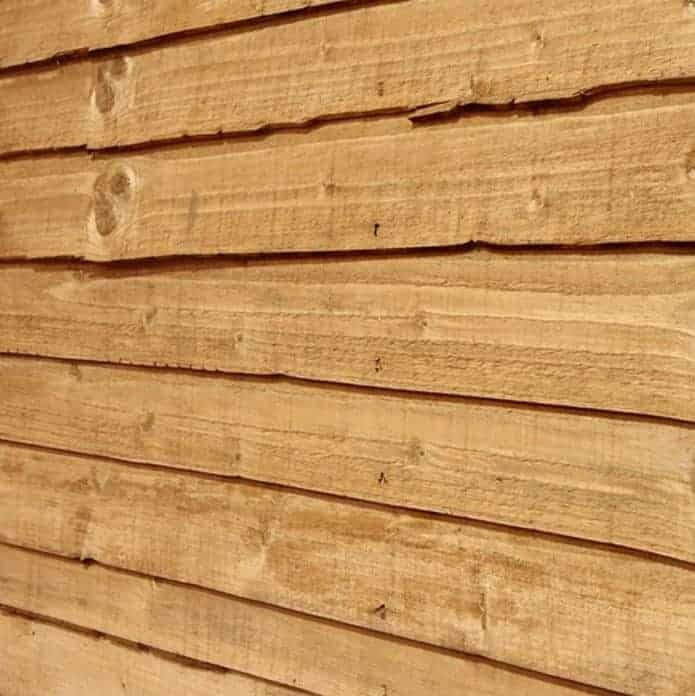 If treated, the cladding will last well, and it is very durable against rain. This doesn’t matter so much because rain will run off against an outer wall, but it does mean you get some good protection against damp etc over time. But that is entirely dependent on you having a treated building. Again, the price of the building is helped by the inclusion of some flooring options rather than a floor itself. For free, you can have no floor, but you are also offered two clear options in flooring that ramp up the price a little. 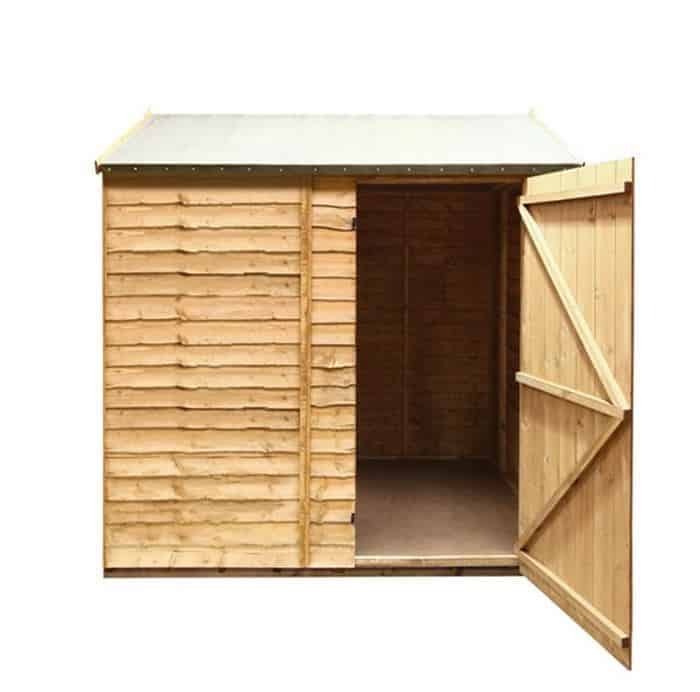 The first option is solid sheet flooring, which is very basic and comes in at £35. Or you can opt for the premium tongue and groove, which we thought was great at the rather surprising (and pleasing) price of just £45. With £10 in it, the choice is obvious, since tongue and groove is very strong and durable indeed. Amazingly, at this bargain price, the unit comes pre-treated. That means you can enjoy that cladding without having to worry about annual treatment. 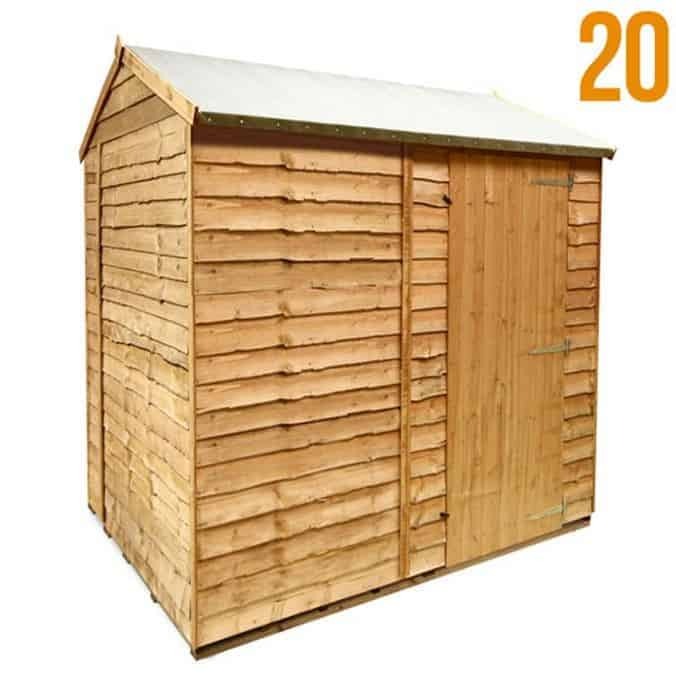 This is a real bonus, and makes this a very good value shed. You get a door that has a very respectable width of 72.8 cm here. This is plenty of space for bringing in slightly bigger items. The unit is windowless. The unit does come with a turn button, but we reckon that the windowless aspect automatically makes this a very secure building. You can choose shelving for the interior of the unit. These go up in sizes all the way to a 4 ft stack of shelves. It’s a nice touch, and doesn’t add too much to the price. You can also choose the trim and wall colour for the building as well. This again is not costly, and means that you can have a low-cost shed with some real personalisation. Final Thoughts: Having a building that costs less than £250 and still offers pre-treatment is quite a surprise. 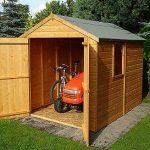 The shed is perfect if you want a good quality security shed, and the customisation options are not too prohibitive with price. 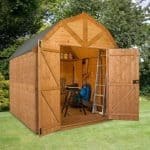 In other words, it is a high quality, low-cost shed that has some nice touches.